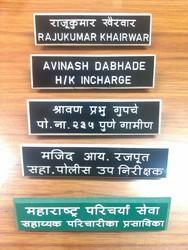 Engraving Service by our Sister concern Yashawant Engravers. 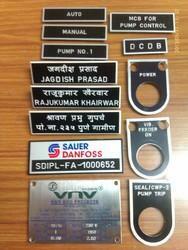 We give Services of Engraving on Labels Supplied by our sister concern Sadhana Arts or given by parties for Sr. Nos / Control Panel or Switch Labels as per customer's need. 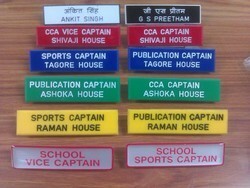 We do Engraving on Pocket Plates of Formica, Acrylic material for security personnel, Schools & Others for identification of names of personnel. APPLICATION security personnel, Schools & Others for identification of names of personnel. 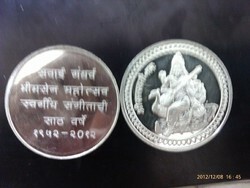 We give service through our sister concern for engraving on Metal Labels as well as on coins etc. We manufacture pocket plates on 3 mm acrylic, 1. 5 mm bakelite with names, designation etc. Duly engraved, supplied with special clip designed by us. These plates can be used by hospital doctors, nurses, security, schools, colleges, comapanies, hospitality, housekeeping, etc. Personnel.